Top 10 Tips To Make Your Home Dust Free – No More Dusting! We all hate dust. Not only does it make your house look dirty, but it’s not great for your health either. A buildup of dust can trigger asthma symptoms and contribute to allergies. That’s why it’s important to know the best ways to keep your keep your home dust-free. We’ve gathered our top 10 tips for reducing dust in your home. Dust loves carpet. Ideally, if you are looking to limit the amount of dust in the house you should eliminate all carpets. But most of the time, that’s just not possible. The next best thing is to vacuum right. You should vacuum a minimum of once a week. That being said, you will see the best results if you vacuum once a day. The type of vacuum you use matters too. Make sure to buy a vacuum that comes with a HEPA filter. For the floor mats and area rugs, make sure you take them out often and shake them out. Speaking of vacuuming, it won’t do any good if you vacuum before you dust. When cleaning, always start from the top and work your way down. This will ensure that everything that is knocked to the ground while dusting will be vacuumed up, rather than lingering around. Although you may think you’re doing what all good maids do when you pull out the feather duster, all you are really doing is spreading all the dust around. The same goes for a dry rag. Instead, try a duster that has a little moisture to it, such as a damp rag. Microfiber rags are good too. There’s no need to wet these. They will act as a natural magnet to the dust. Did you know that over 50% of the dust in your house comes in through your home’s windows and doors? Catch the dust before it comes in the door. We know how much dirt the kids drag in after they have been outside all afternoon. If you don’t have a door mat, all that dust and dirt is coming straight inside. The mat won’t catch everything, but it will keep most of the bigger stuff out. Look around your house. Are your shelves covered with knick knacks? What about that pile of laundry in the corner? These are great places for dust to linger around. You can’t dust a pile of clothes, and knick knacks gather dust quicker than you can keep up with. Reduce what you can, and be sure to dust the things you decide to keep around. Bulky fabric items like drapes harbor a lot of dust. These usually get neglected in the daily cleaning. Make sure you take a vacuum to the drapes on a regular basis. If switching your drapes out for blinds is an option, consider doing so. Blinds are just as bad as drapes when it comes to gathering dust, but the difference is that they are much easier to clean. It’s also much easier to see when your blinds are covered in dust. Your little critters, as cute as they are, are a prime source of dust in your house. With the dead skin cells and fur, your pets are constantly creating dust. Make sure to bathe your little ones on a regular basis to keep both them and you happy. If you’re not already doing it, you should be changing your bed sheets once a week. Bedding creates a large surface area for dust to settle. Don’t forget the pillows. Washing the sheets and pillowcases is not enough. Most pillows can be thrown in the washer. A helpful tip: putting a tennis ball in the dryer with your pillows will help bring the fluff back to them. Dust moves about your house through the air. That’s why if you are not taking care of your ventilation system, you are adding to the dust problem. Make sure your furnace is equipped with the proper filters and be sure to change the according the manufacturer’s recommendations. 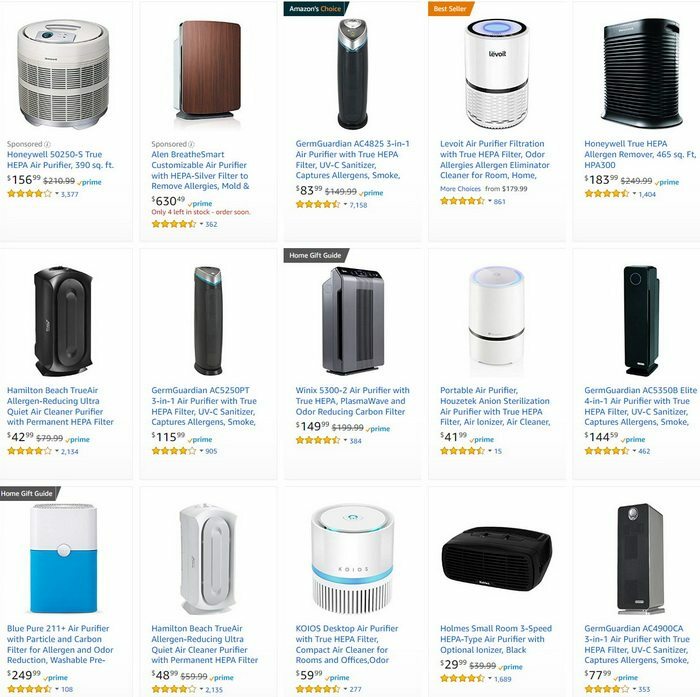 There are a lot of air purifiers on the market. Do your research and find the one that best fits your needs. If you are especially prone to dust allergies, look into ones that is designed specifically to help with the tougher to catch dust. While you won’t be able to eliminate all the dust in your house, there are easy steps to significantly reduce the amount. Contact us below for more ideas or advice on specific products. I will definitely try out these dust free tips.